PLATINUM AND DIAMOND PENDANT WITH 0.43ct. DIAMONDS. 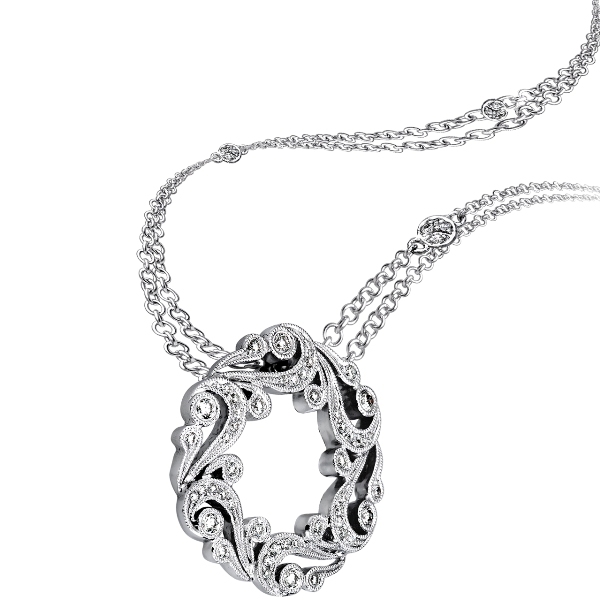 PLATINUM AND DIAMOND CHAIN, 0.40ct. DIAMONDS.